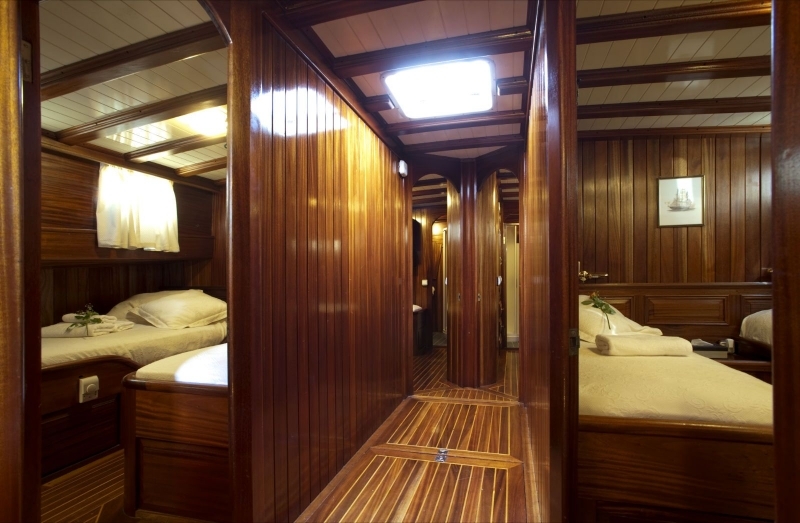 Exceptionally spacious to accommodate up to 19 guests in 7 (seven) cabins, and an ample saloon area with full air-conditioning. 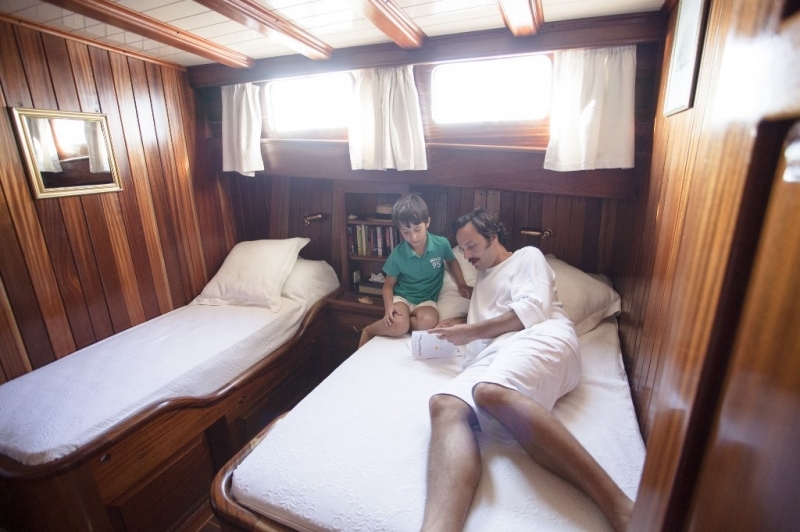 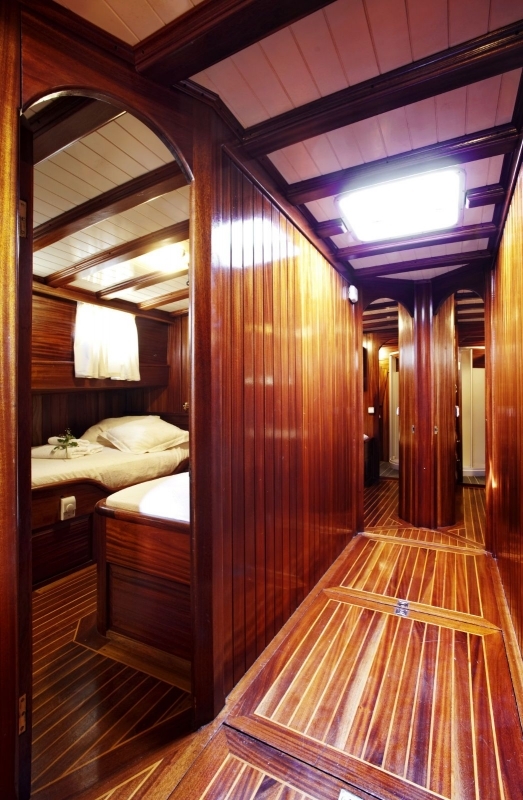 All cabins are also fully air-conditioned, they all have double beds, and 5 cabins have a single bed as well. 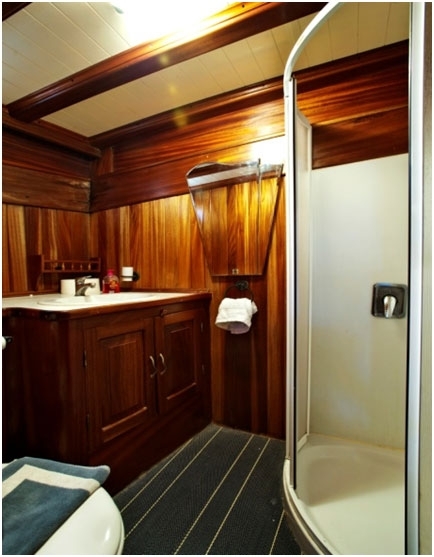 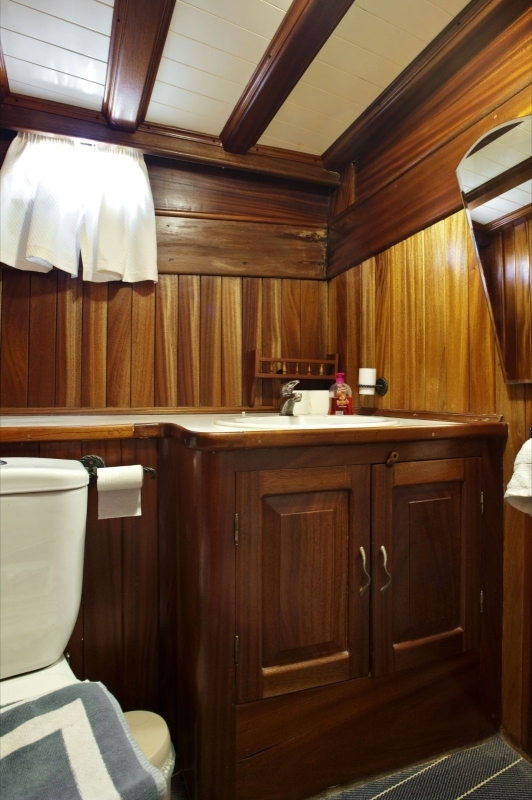 Each cabin has a private en-suite shower room with sink and flush toilet and 220 Volt electricity. 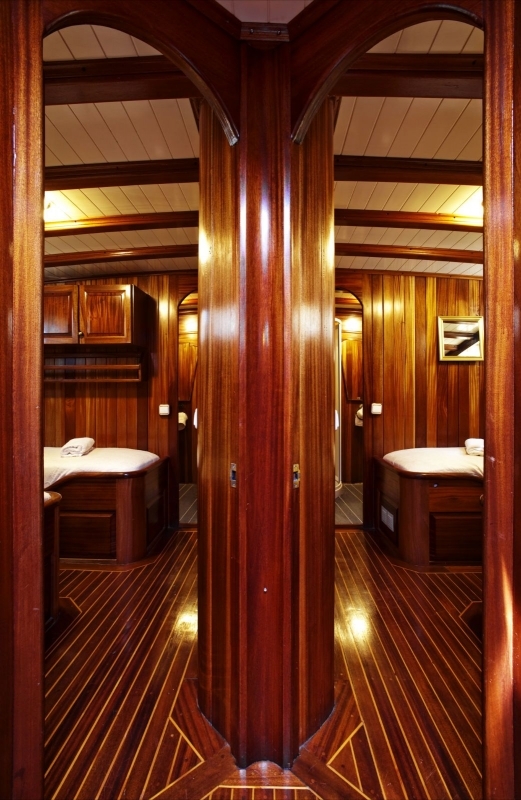 The crew enjoy separate quarters with their own shower and toilet facilities. 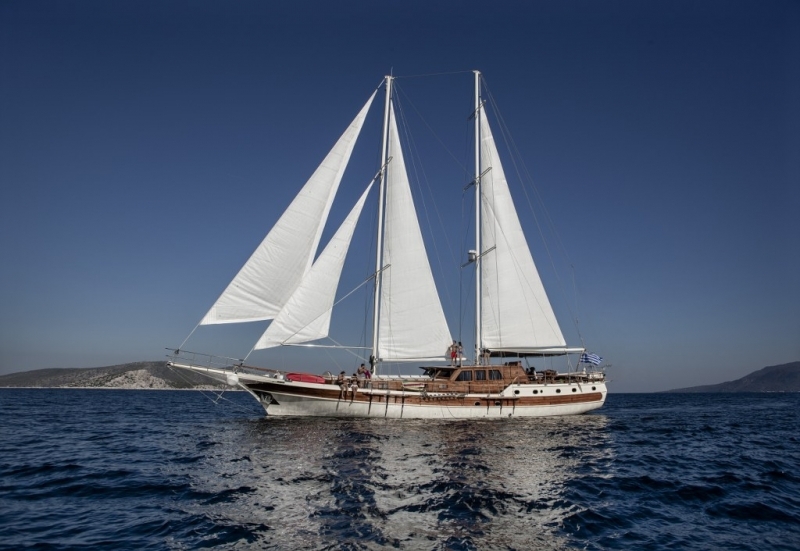 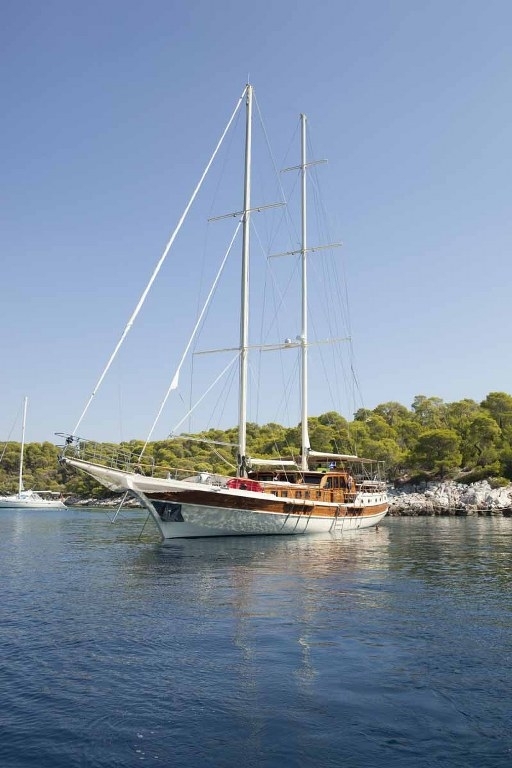 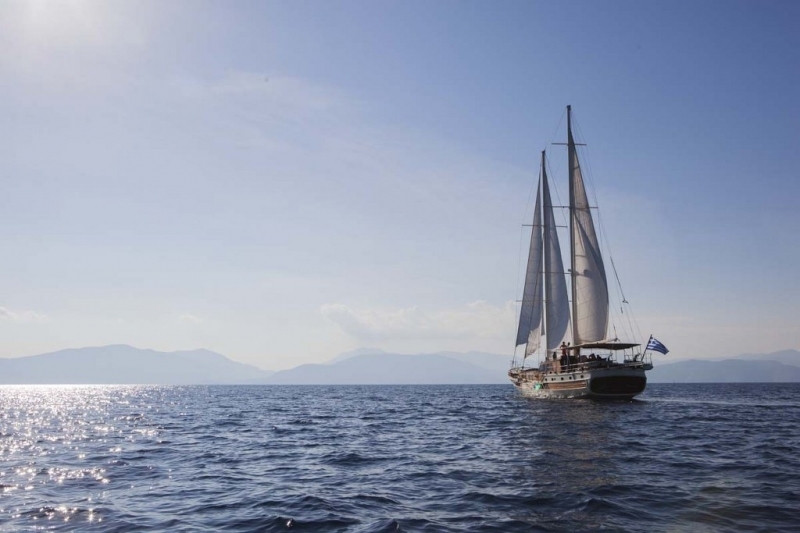 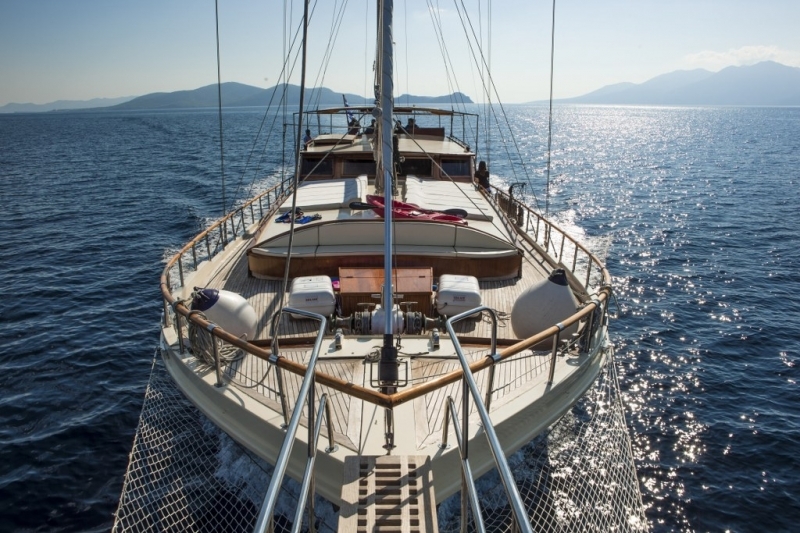 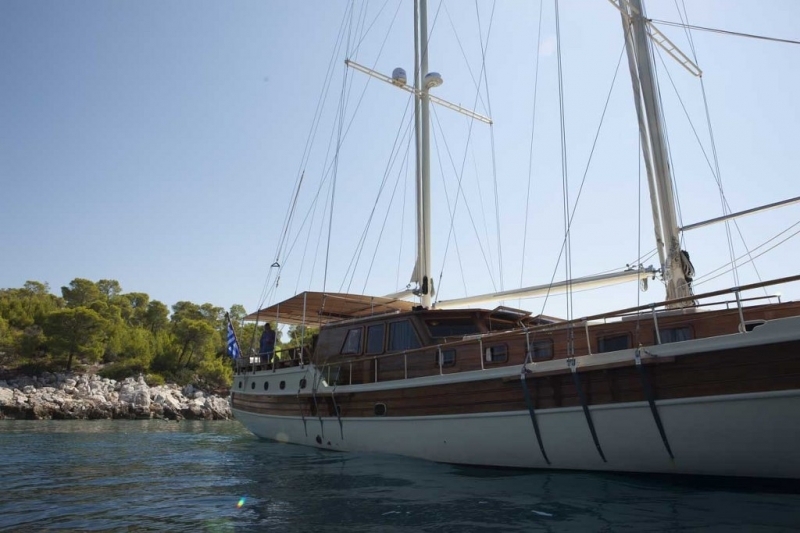 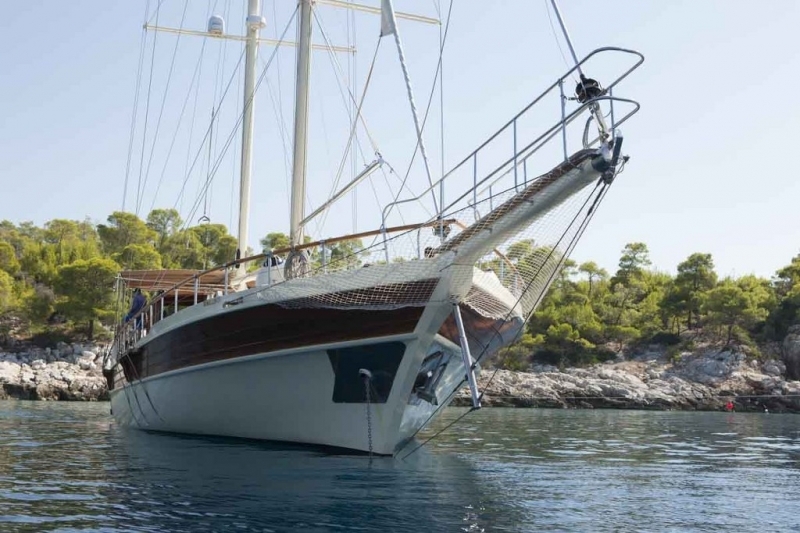 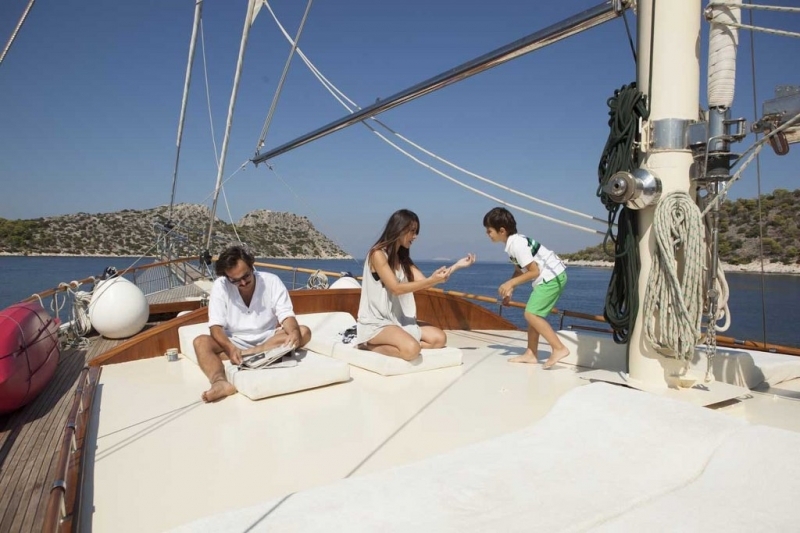 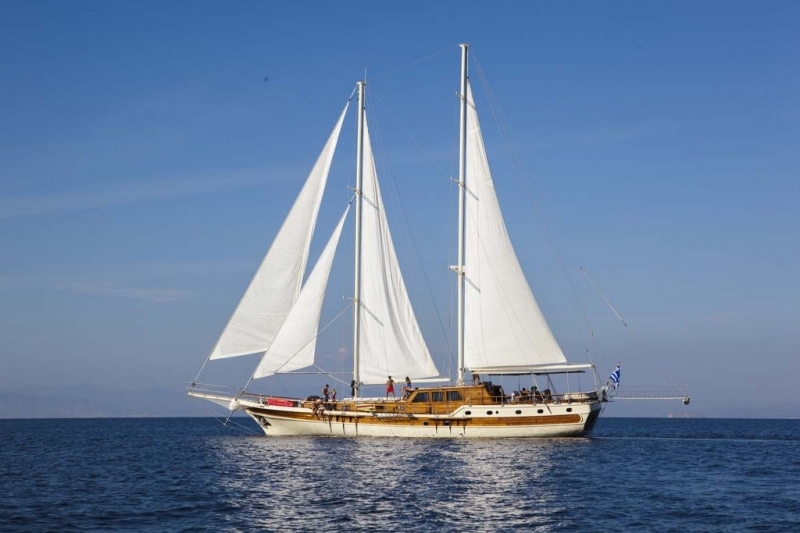 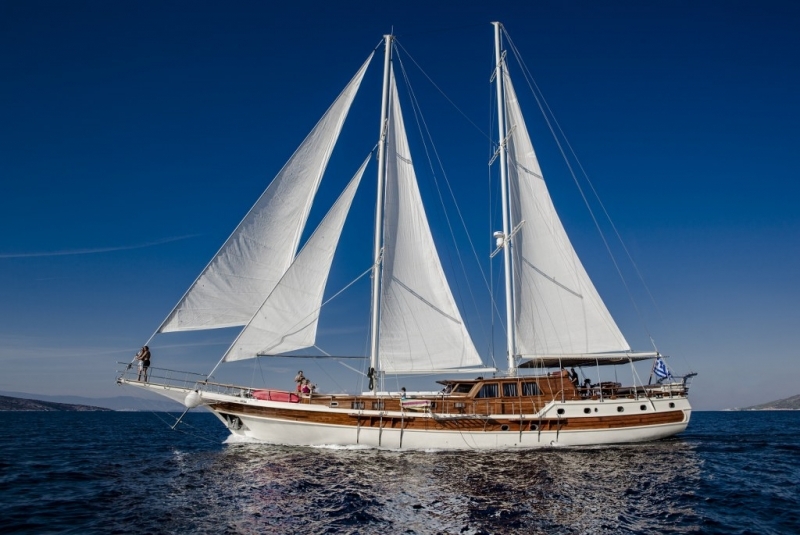 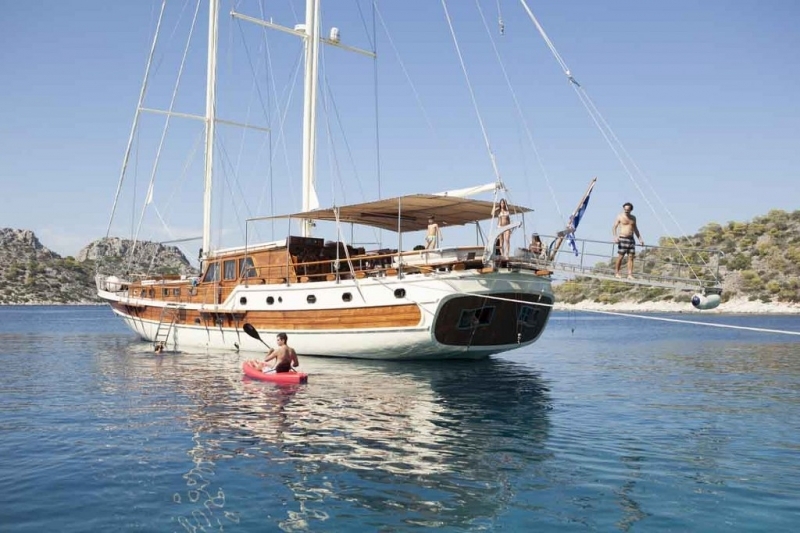 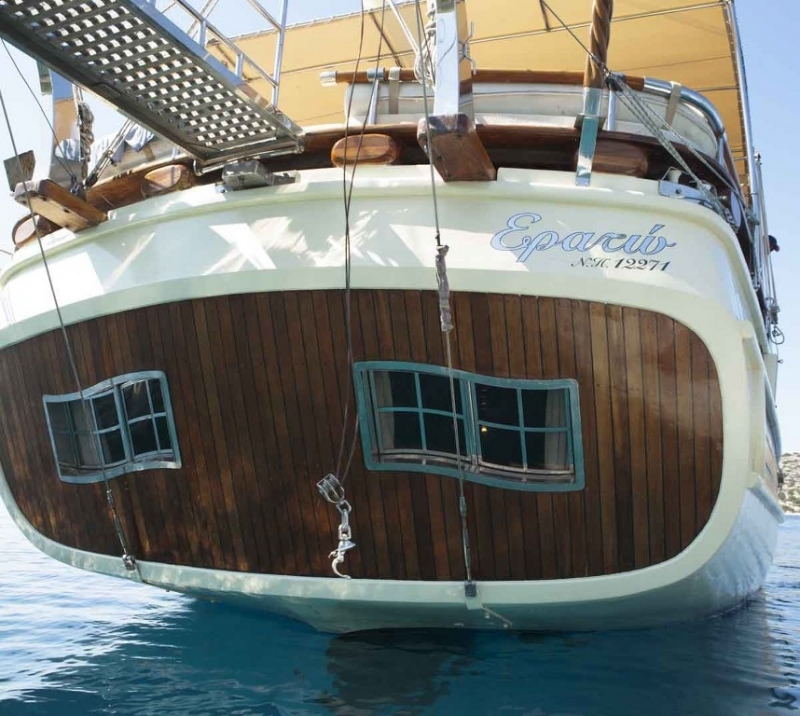 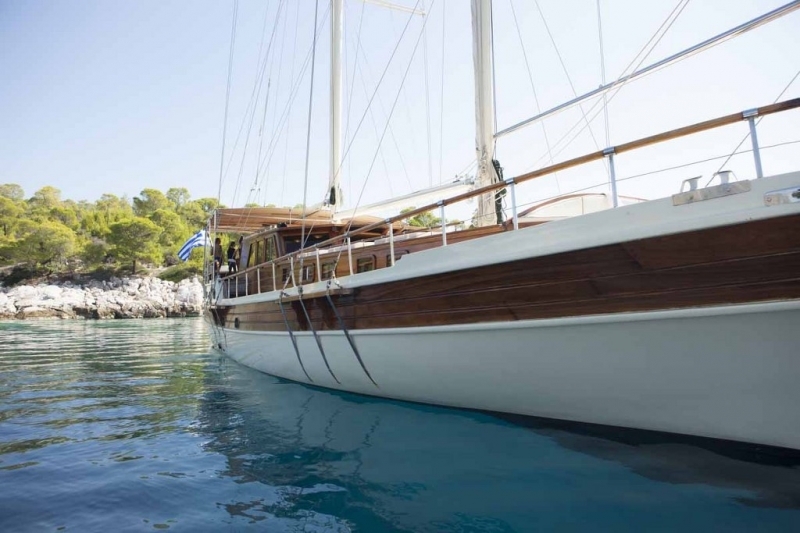 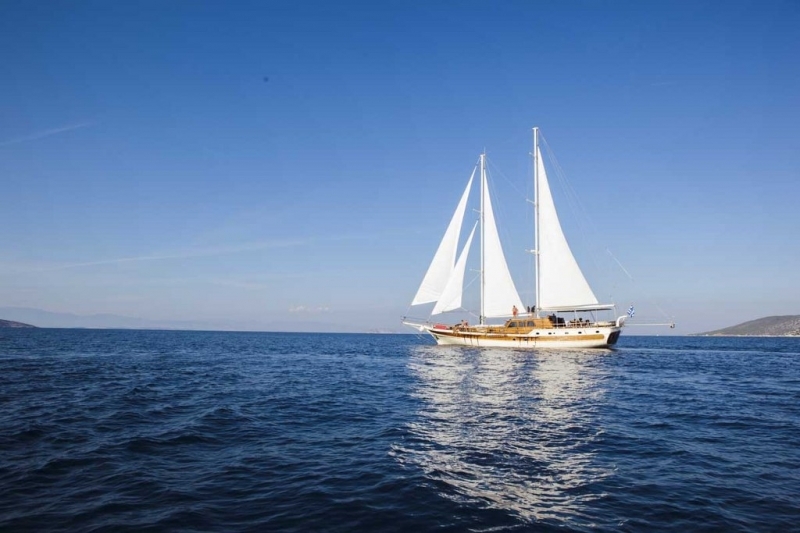 MS ERATO is a wonderful 30,5 meters Motor Sailer (Gulet), available for charters in Greece and Turkey. 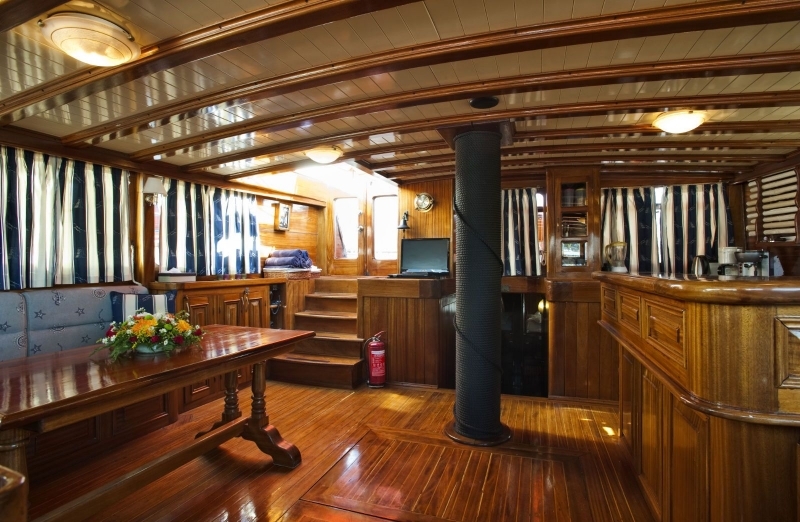 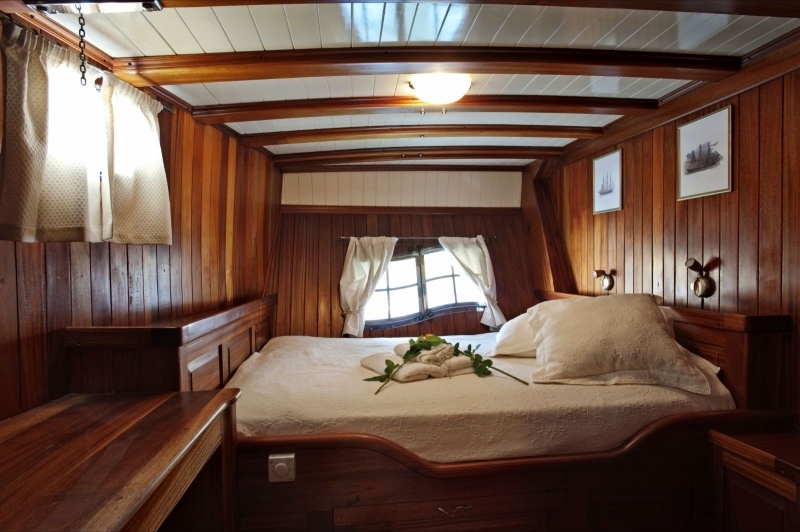 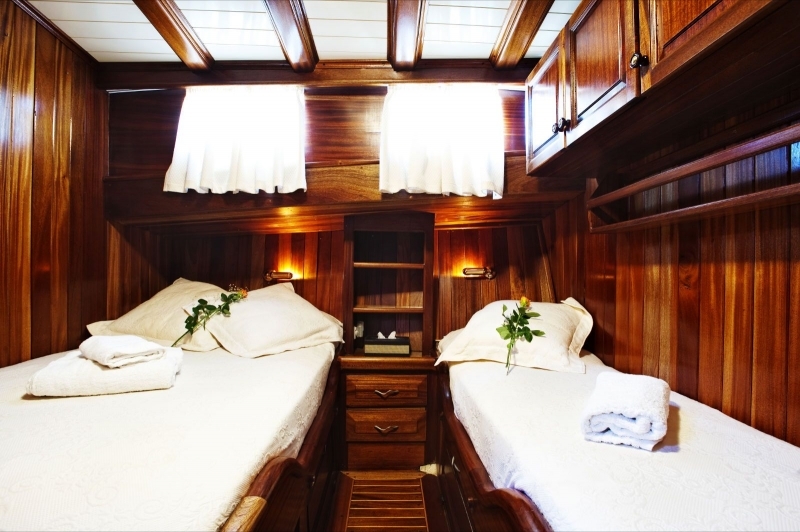 Built to the owner’s personal meticulous specifications, this lovely elegant teak and mahogany vessel can accommodate up to 19 guests in 7 spacious air-conditioned cabins, all with en-suite facilities. 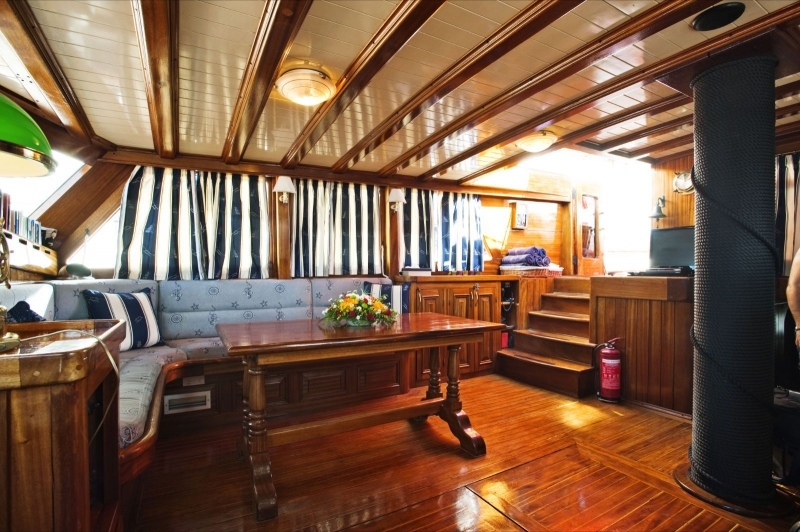 She has a spacious and comfortable air-conditioned salon, fully equipped with audio and visual entertainment systems, as well as cosy bar area. 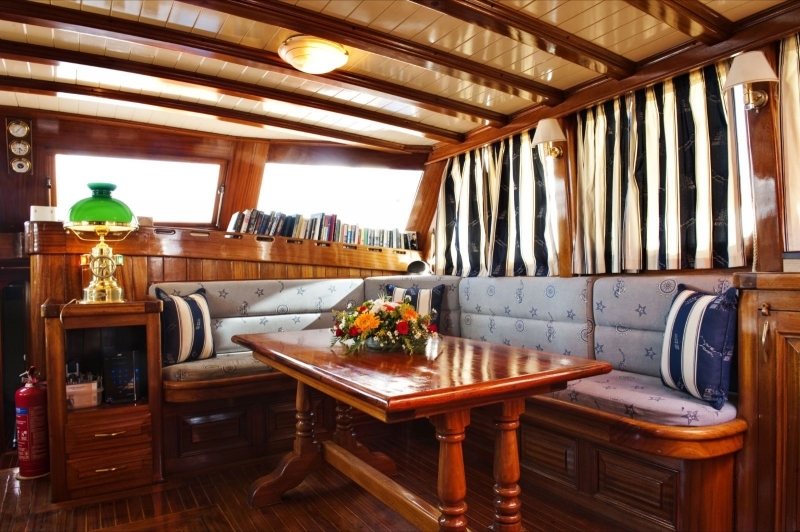 As to deck space: forward deck offers a huge cushioned area for sun bathing, and the aft deck offers a shaded area for alfresco dining. 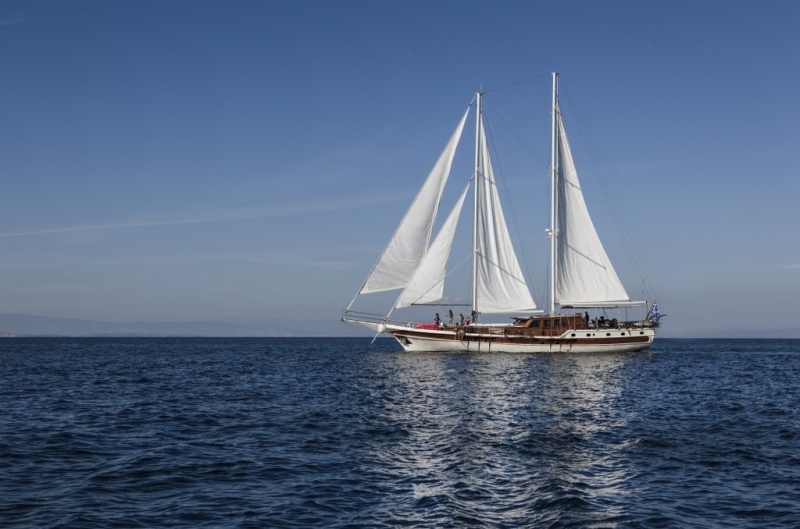 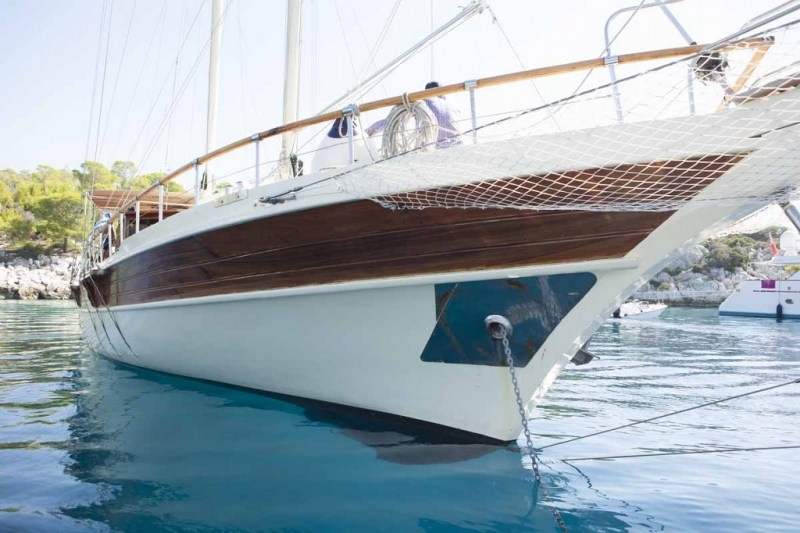 She is ideal for those who want to live a beautiful sailing experience in the Mediterranean, without any compromise both to comfort or performance, and with the knowledge that the level of service, privacy and security offered will be of the highest of standards. 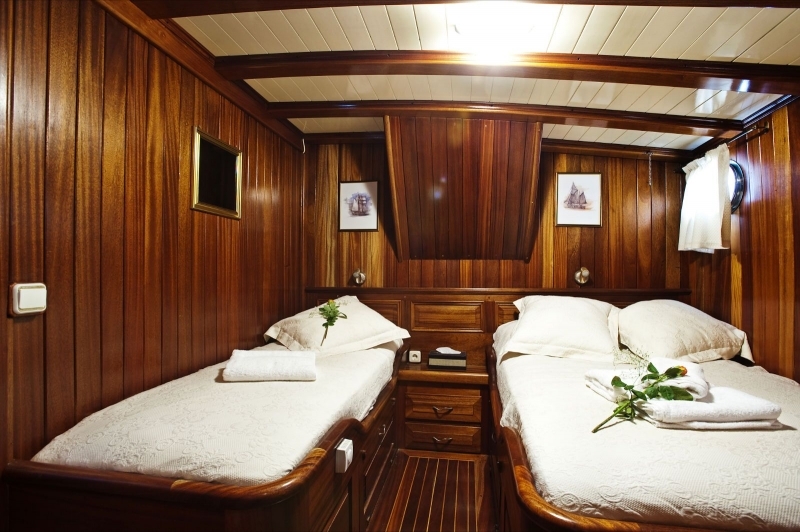 Her highly qualified crew of 5 are very friendly and discrete and are always ready to take care of your every need. 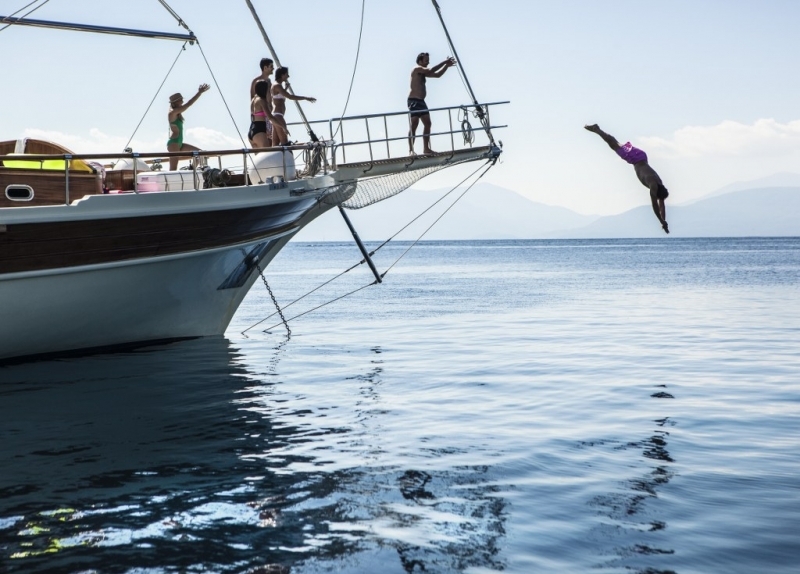 Enjoy the freedom to choose where you want to go and when. 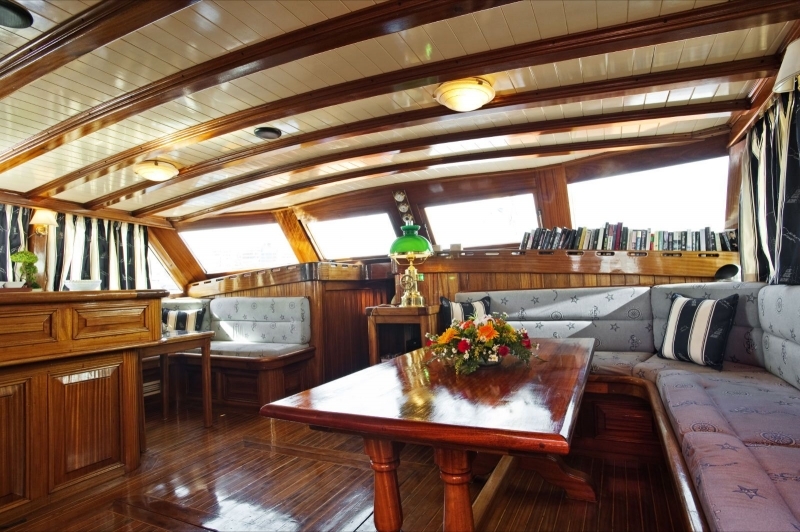 The captain will be there to help you with his proffessional knowledge to make the ideal itinerary, allowing you to spend pleasantly the most of your time on board as well as exploring the various islands you wish to visit. 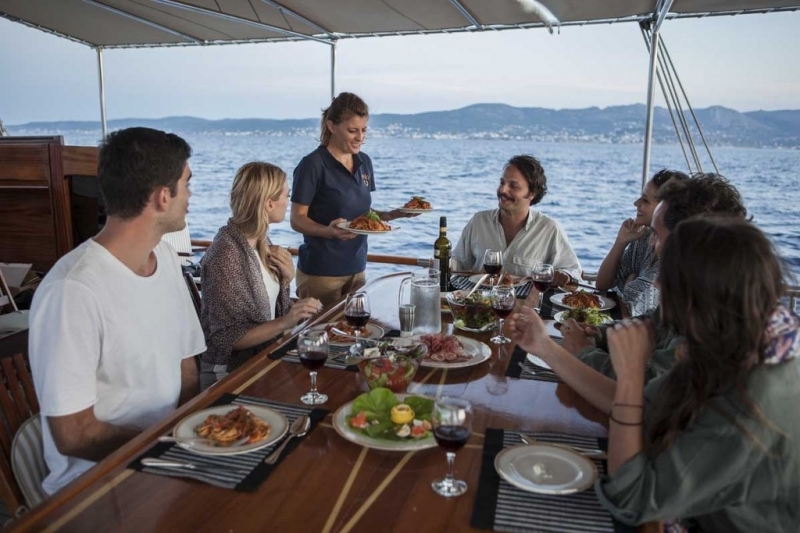 Gastronomy: Erato's talented chef will make your cruise a culinary experience! 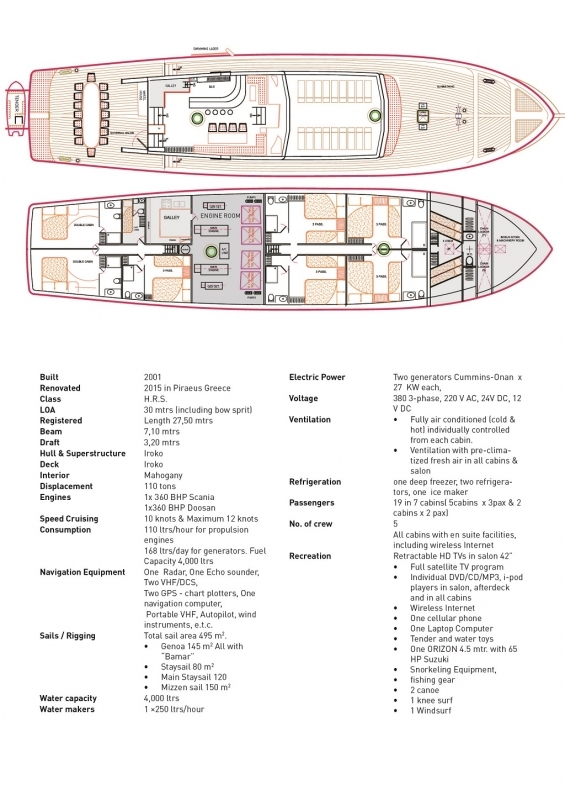 For the e-brochure please click here!